The post–World War II era has seen the dramatic growth of international trade and the creation of a global trading framework based on the principle of open economies. The United States has been at the forefront of these changes even as it is less reliant on trade than nearly any other developed country. With global trade talks stalling, the United States has increasingly turned to regional and bilateral free trade agreements (FTAs). President Barack Obama won the passage of FTAs with Colombia, Panama, and South Korea, and before leaving office he negotiated the Asia-centered Trans-Pacific Partnership (TPP) and advanced a separate U.S.-EU trade deal. But the election of President Donald J. Trump has upended this trade vision. Drawing on the arguments of many in the U.S. labor movement, as well as some economists, that such trade deals hurt workers and degrade the U.S. manufacturing base, Trump took immediate action to withdraw the United States from the TPP. Advocates counter that multilateral trade agreements create jobs by opening new markets to U.S. exports and making it easier for U.S. companies to compete in foreign markets. What is the state of U.S. trade policy? The institutions of global trade policy have evolved dramatically since the end of World War II, led primarily by the United States and its European allies. The General Agreement on Tariffs and Trade (GATT) was signed by twenty-three countries in October 1947. By 1986, GATT’s membership had expanded to 123 countries, all of which had committed to the principles of lower tariffs, open economies, and freer trade. Over those four decades, global import tariffs on goods fell sharply, from an average of over 30 percent to under 5 percent. In 1986, President Ronald Reagan launched the Uruguay Round of negotiations, which created the World Trade Organization (WTO), an agreement finalized under President Bill Clinton in 1994. The WTO was created to address the perceived limitations of the GATT system. World trade had grown increasingly complex since the 1940s, and GATT’s narrow focus on goods left out major areas such as trade in services, agriculture, intellectual property, and cross-border investment. Facing a stalled WTO process, U.S. policymakers have focused instead on completing smaller regional and bilateral deals. However, the latest round of negotiations—launched in Doha, Qatar, in 2001, and dubbed the “Development Agenda” due to its focus on topics of particular interest to poorer countries—has so far failed to achieve a final deal despite over a decade of talks. Agriculture policy has been the primary sticking point, with large developing countries like India and China seeking to retain flexibility in imposing import tariffs—so-called “safeguard duties”—while pushing for reduced farm subsidies in the United States and Europe. Facing a stalled WTO process, U.S. policymakers have focused instead on completing smaller regional and bilateral trade and investment deals. The 1994 North American Free Trade Agreement (NAFTA) further integrated the U.S. economy with those of Canada and Mexico. In addition to recent bilateral deals with Colombia, Panama, and South Korea, the United States has concluded free trade agreements (FTAs) with seventeen other countries. Most recently, in 2015 U.S. negotiatiors concluded talks on an Asia-Pacific deal, the Trans-Pacific Partnership. Championed by President Obama, the TPP was the target of attacks from both the left and right during the 2016 presidential campaign. In one of his first acts as president, Trump ordered the withdrawal of the United States from the deal in January 2017. Trump has said that his administration will focus on bilateral deals, which he argues allow the United States to strike better terms than multilateral talks would. The TPP is what has come to be known as a “megaregional” deal—that is, one spanning several continents. The Asia-centered negotiations began in 2002 with exploratory talks among a small group of Pacific Rim countries, and President George W. Bush announced his intention to join the negotiations in 2008. The Obama administration, in line with its “pivot to Asia” strategy, pushed forward with the initiative, and by 2015 the TPP had expanded to include twelve countries, including Japan but excluding China. The twelve parties reached a final agreement in October 2015, but the deal was never ratified by the U.S. Congress. TPP countries account for 44 percent of total U.S. goods exports and 85 percent of total U.S. agriculture exports. Since traditional tariffs are already low, TPP focused on a suite of reforms that include liberalizing protected sectors, streamlining customs and regulations, strengthening intellectual property protections, promoting competitive and transparent business laws, and enforcing labor and environmental standards. Their stated goal was to create a fully integrated economic area and establish consistent rules for the unprecedented growth of global investment. While global trade in goods and services rose from $6 trillion to $19 trillion a year between 1985 and 2009, global capital flows more than quadrupled in that period, from $1.1 trillion to over $5.2 trillion a year. Negotiations faced significant political hurdles. During TPP talks, Japan overcame the influence of its powerful farming lobby, Canada agreed to concessions regarding foreign access to its dairy market, and the United States compromised over patent protections for pharmaceuticals. Supporters also say the TPP deal would have raised governance standards for many of China’s trade partners, such as Malaysia and Vietnam, thus putting pressure on China to adhere more closely to international standards. Trump has just unilaterally given away the biggest piece of leverage he had to deal with China. CFR Senior Fellow Edward Alden says that killing the TPP weakens the United States’ geopolitical interests in Asia. “Trump has just unilaterally given away the biggest piece of leverage he had to deal with the biggest challenge in the world of trade, which is the increasingly troubling behavior by the world’s second largest economy, China,” he writes. Some Asian countries have said they may try to go ahead with the TPP, potentially by inviting China to join. Following on the TPP negotiations, the United States and European Union have sought their own megaregional deal, the Transatlantic Trade and Investment Partnership, or TTIP. The U.S.-EU trade relationship already accounts for more than $1 trillion in flows of goods and services each year. Officially launched in 2013, TTIP negotiations have focused largely on on improving regulatory cooperation between the two sides. Supporters argue this will reduce costs for businesses, thus boosting growth and lowering consumer prices. Another priority is to ensure equal legal treatment for investors. TTIP negotiations sputtered after the United Kindgom, one of the strongest supporters of the deal within the EU, voted to leave the bloc. Additionally, European leaders expressed frustration with what they say is U.S. unwillingness to compromise on issues such as health and environmental standards. Many Europeans are skeptical about allowing the importation of U.S. genetically modified crops (known as GMOs) and relaxing rules on food labeling, among other perceived impositions on national sovereignty. In August 2016, France said negotiations should be halted and Germany said the pact was "de facto dead." Trump’s election has cast further doubt on the deal. Supporters had hoped a deal with the EU would strengthen transatlantic relations with a Europe struggling on multiple fronts. Disappointing growth, high unemployment, and persistent sovereign debt issues in the eurozone, along with a confrontation with Russia over Ukraine and the UK’s Brexit, create a precarious situation for the continent. C. Fred Bergsten, the founding director of the Peterson Institute for International Economics and a leading trade advocate, says Europe’s struggles highlight the need for TTIP. A deal “would help energize the reforms that certainly the weaker countries in Europe need,” he says. The U.S. Trade Representative (USTR), part of the Executive Office of the President, negotiates agreements, but the Constitution gives the legislative branch ultimate authority over foreign trade. Every postwar trade agreement has been passed with Trade Promotion Authority (TPA), previously called “fast track,” through which Congress agrees to give trade deals an expedited up-or-down vote with no amendments. TPA had expired in 2007 and needed to be renewed for the TPP and TTIP to move forward. Bipartisan consensus on trade has frayed in recent years, and opposition from both parties had threatened to sink TPA renewal. Democrats argued that the sharp decline in U.S. manufacturing jobs, alongside the rise of corporate “offshoring” in countries with low wages and weak labor and environmental standards, showed that U.S. openness to globalization has gone too far. While Republicans have traditionally been more supportive of the U.S. trade agenda, a bloc of conservatives spoke out against renewing TPA. Some argued that granting the president such “fast-track” powers is unconstitutional, while others echoed concerns of some Democratic members that trade deals dilute U.S. sovereignty by overriding domestic regulation. Other lawmakers have said that any trade deals must address currency manipulation, a practice in which countries purposely devalue their currency to gain an export advantage. Ultimately, Congress passed TPA in June 2015, jumpstarting the final round of TPP talks. However, Congress failed to hold the necessary yes-or-no vote to ratify the deal, allowing Trump to withdraw by issuing an executive order. How would expanded trade affect the United States economy? The significance of trade to the U.S. economy has steadily expanded since the 1950s, in line with the broader expansion of global commerce over that period. Today, U.S. exports and imports are valued at more than 30 percent of U.S. GDP [PDF], up from less than 10 percent in the immediate postwar era. Some economists argue that TPP and TTIP would have a significant positive impact on the U.S. economy. In theory, giving manufacturers a more level playing field in Asia would boost U.S. exports, while lower-priced imports and the gains in productivity arising from increased competition would be a boon for consumers. The Peterson Institute has released research showing that the TPP would produce annual income gains of $78 billion for the United States. When it comes to the TTIP, the European Commission estimates [PDF] that the deal would add over $100 billion to the U.S. economy and $152 billion to the European economy every year. 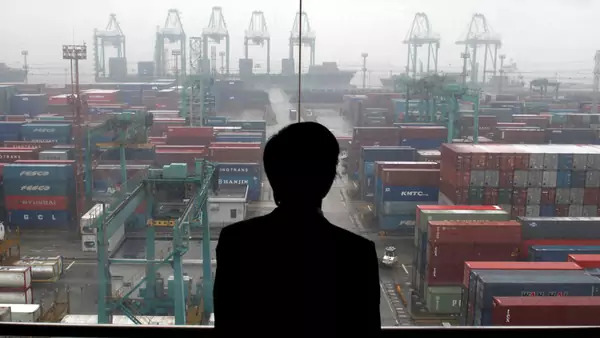 Leading economists, labor representatives, and consumer rights goups have expressed concern over the impact of trade deals on employment, inequality, national sovereignty, and safety standards. There is also substantial public concern over the effects of globalization: Polling from the Pew Research Center found that Americans’ belief in the benefits of globalization tumbled sharply starting in the early 2000s, although as the economy has recovered, so has confidence in trade. The economist and Nobel laureate Paul Krugman has argued that the benefits of these “next generation” deals are overstated. Former Treasury Secretary Lawrence Summers acknowledged that “trade and globalization have meaningfully increased inequality in the United States by allowing more earning opportunities for those at the top and exposing ordinary workers to more competition.” But while some research indicates that the decline of U.S. manufacturing can be partly attributed to the growth of Asian imports, Summers also pointed out that that has little to do with trade agreements themselves. Technological innovation, he says, plays a much larger role. Critics have raised concerns about both the transparency of the process and the implications for national sovereignty. Still, many in the U.S. labor movement argue that trade liberalization has caused a “race to the bottom” in workers’ rights and environmental standards. American Federation of Labor and Congress of Industrial Organizations (AFL-CIO) president Richard Trumka contends that the goal of recent trade deals “was not to promote America’s exports—it was to make it easier for global corporations to move capital offshore. The logical outcome was trade deficits and falling wages.” The Obama administration countered that its multilateral deals would have improved labor rights monitoring and enforcement. Currency manipulation and its impact on the trade deficit, which rose sharply in the 1990s and early 2000s, remains a major worry. China, previously the main culprit, has largely backed off from artificially devaluing its currency, but for the Peterson Institute’s Bergsten it remains important to avoid potential future manipulation. As a candidate, Trump focused heavily on the lack of currency manipulation provisions in the TPP, and argued that the deal would have accelerated the offshoring of U.S. manufacturing jobs. Leading Democratic and Republican members of Congress also called on the Obama administration to address manipulation. But opponents feared that it could have the unintended consequence of limiting what the U.S. government sees as legitimate monetary policy—such as quantitative easing (QE) carried out in Europe, Japan, and the United States, which also generally has the effect of weakening a nation’s currency. The final TPP deal sidestepped the issue. Critics have also raised concerns about both the transparency of the process and the implications of the deals for national sovereignty. A provision known as the Investor State Dispute Settlement (ISDS) mechanism, in particular, raised worries that international companies would be able to override local government decisions. Supporters say that the ISDS is no different than the similar clauses used in previous trade agreements, like NAFTA, though those have also drawn criticism. This CFR Independent Task Force Report on U.S. Trade and Investment Policy warns that a lack of U.S. leadership on trade issues would be detrimental to the nation’s interests. CFR’s Thomas J. Bollyky investigates the impact of U.S. free trade deals on global pharmaceutical prices in this interactive presentation. In this analysis, David Saha of the European Centre for Economic Policy Research synthesizes the economic debate on the potential benefits of a U.S.-EU trade deal. This briefing by Brookings’ Mireya Solis elaborates on the geopolitical case for the TPP. Gallup tracking polls from February 2016 illustrate the increasingly positive attitudes of Americans towards global trade. CFR President Richard N. Haass and Roger C. Altman explain why the TPP would serve America’s strategic aims in this New York Times op-ed.